One of my favorite movies is “The Way We Were.” I don’t believe there is a scene in that movie that I dislike. I love Hubbell (who wouldn’t? It’s Redford for Christ’s sake). And I adore K-K-K-Katie (have to know this move to get that). Streisand and Redford shoot sparks in each scene. Their onscreen chemistry is evident from the first time you see Katie watching Hubbell nap while he’s leaning on a bar during a cocktail party. But one scene that stands out in my mind involves Redford as Hubbell and Bradford Dillman as J.J. They banter back and forth using the topic ‘best’, as in best year. The game ends when Hubbell suggests through the ‘bests’ his love for Katie. My daughters and I used to play a game similar to this quite often. When we were traveling by car for instance or when they were sick. Or just hanging out. Our ‘best’ would be best cookie or best Sesame Street character. I’m sure everybody has a version of this game. It’s fun. And pretty simple. But it does sometimes reveal things about someone that we never knew. That is what makes the game interesting. I don’t know that any of my ‘bests’ would be considered that interesting but I’m willing to find out. Or, to see if I can get a list going of bests. That being said, as some of my posts from now on I am going to feature a best. Be it BEST cookie, BEST year, or BEST selfie. So, c’mon readers (amazingly I do have a few!) please comment by telling me your bests and tell us why. My first BEST is going to be food. That’s right. Food across the board – doesn’t matter what type. I am a food junkie. And a lot of my favorites are greasy, fattening, or completely boring. Keep in mind I am married to a wonderful man from the Midwest. We have the best foods here. Some are very healthy but a lot are just really bad for you. Who cares? If eaten with discriminate taste buds, bad foods can be good! This favorite food is not sweet – that will come later. Because believe me, sugar is one of the six food groups (yeah, not five in my book!). My BEST food is LASAGNA! I love it! And it is one of about three dishes that I can make. And do well. I load it with cheese; ricotta (full not skim), parmesan, gobs of mozzarella. Of course ground beef and hot breakfast sausage and plenty of noodles. The thing weighs about ten pounds when it is ready for the oven. 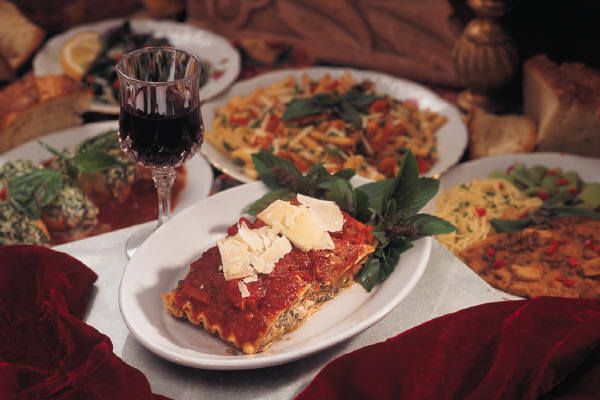 I like to order lasagna in restaurants but I don’t very often. After all, it is tremendously fattening and I happen to like my own pretty well anyway. There’s just something about tomato-y Italian seasoned sauce, all that cheese and really good greasy hamburger and sausage. What better way to clog your arteries is there? So, what is your favorite food? And, what would you like to see as a BEST category for future posts? Meanwhile, get out there and make your own BEST. After all, that’s what it’s all about, right?